When you want to get really precise and accurate try the Eraser-pen which comes in a convenient pen shape with a comfort grip. Pad is not included. 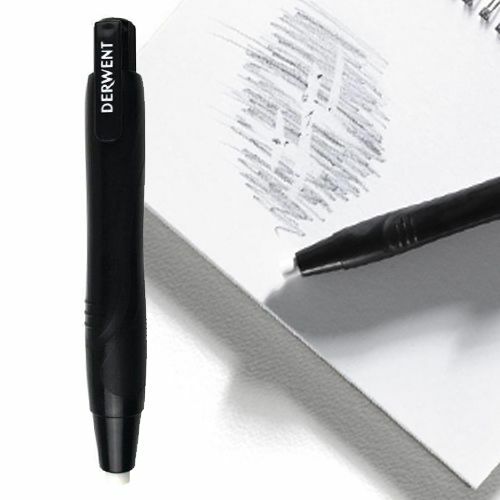 When you want to get really precise and accurate try the Eraser-pen which comes in a convenient pen shape with a comfort grip. You can shape the tip of the eraser with a craft knife. Depress the extender button to retract the eraser (Replacement erasers are available separately here). PVC & Latex free, meaning that the eraser does not contain harmful phthalate plasticizers.